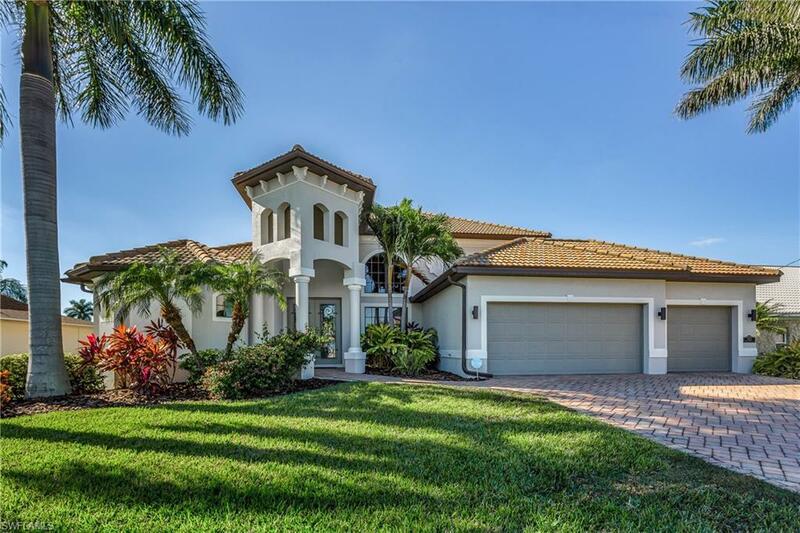 4922 Santa Monica Ct, Cape Coral, FL 33904 (MLS #218070857) :: Clausen Properties, Inc. 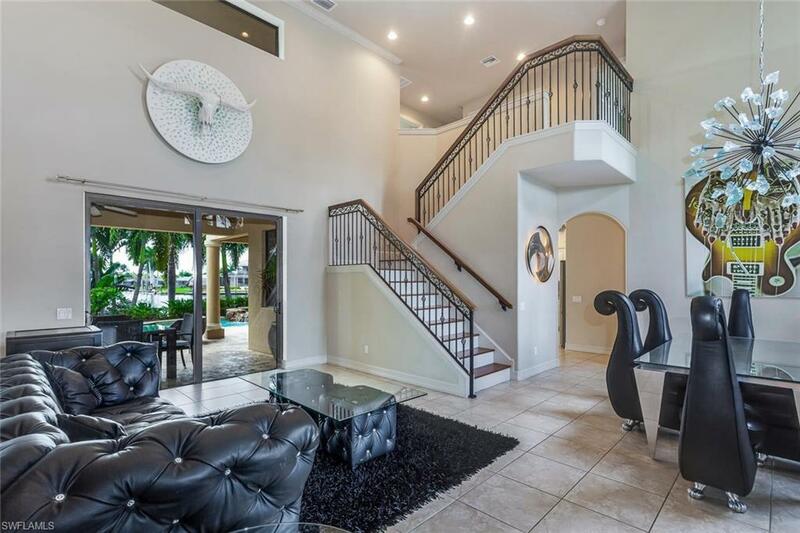 This luxurious prime location sailboat access 2- Story home offers 4 bedrooms 3.5 baths and is a rare find on the market and high in demand due to its ideal location and beauty. This 2010 build home is a boating family's dream. Dock right behind your home while watching breathtaking sunrises. 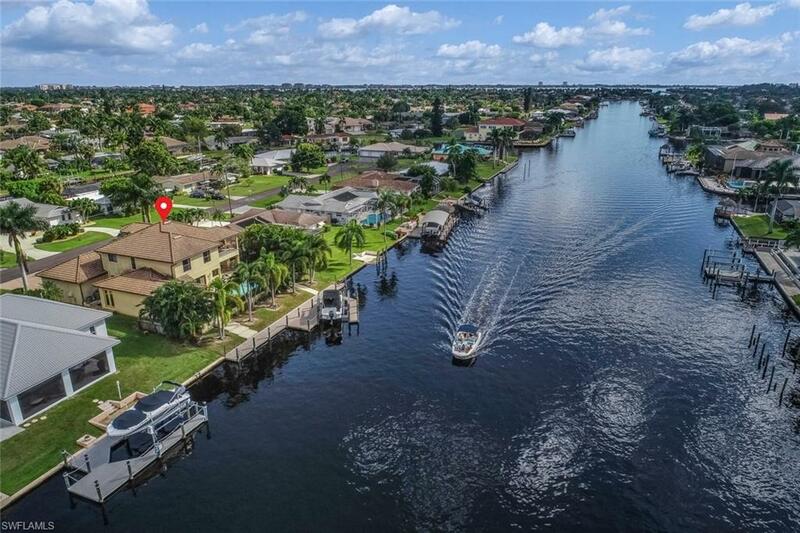 This home is very close to the Caloosahatchee River and the Beaches. The tropical resort style outdoor area spoils with a large pool, multi-color led lights, 2 waterfalls, swim-up bar, spa and Tiki. Misting system and lush landscaping for privacy but still amazing views over the 200 wide canal and deep down the intersecting canal. A state of the art fully equipped fitness studio is another high light, watch the dolphin's play while working out. First floor master suite offers his and her vanity's, soaking tub, walk in shower and water closet, 2 large walk in closets. 3 more bedrooms, 2 bath and a large balcony with lounge area and fire feature on the second floor that surprises with amazing vistas. A formal living and dining area, fully equipped kitchen with granite counters and stainless appliances, breakfast-bar, nook and family room, many more features. Book your showing today! Listing courtesy of Caprice Krumsick of Miloff Aubuchon Realty Group.